Wow! Just think of the potential your book has to transform minds, open hearts, and hopefully change the lives of animals. This is such great news, Shreve! Congratulations! I have absolutely no doubt you will do them justice. It’s what you’ve been doing all along. Much love and congrats!! Yes yes yes!! I’m excited to read it. I hope you include lots of pictures. Such exciting news! This is the book I didn’t know I was waiting for. As a longtime vegan, it means a lot to know that ethical omnivores are out there and are speaking up about the factory farm system. But also, the world just needs more small but powerful animal stories, especially with writing as beautiful as yours. I CAN’T WAIT!!!!! I’m SOOOO excited!!! Thank you!! good for you! and it will be good for all the cattle out there too. go for it! 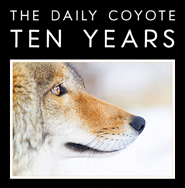 I was deeply touched by Daily Coyote and Ten Years so I know this will be epic Shreve! You are able to touch the human spirit in a way that is unique and needed today and shed light on how we can ethically treat animals, wild and domestic. Blessings to you and your farmily and friends! I am so proud and inspired by you. I know it’s going to be huge and I’m honoured to be along for the ride! You are … well, I can’t think of the appropriate word so I’ll make one up … amazingly redunculously beyond compare! Congratulations, Shreve!! Lots of work. Lots of value. I am looking forward to the new book already. Congratulations. And yay ME! I get the book I have been craving. My favorite cow immortalized in print. 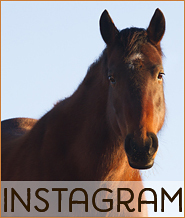 Already signed up and can’t wait until I hold her precious image in my hands and devour every story of her and the rest of the bovines. As soon as there is a pre-order, I’m on it. If not happy birthday to me than hopefully Merry Christmas to me. You will not only do them justice… you will ~fly~! Good luck with the calving. Sending blessings to all moms and babes; may all births be easy and fast and may all babes and moms be perfect! Hope you will soon be off crutches so you can really enjoy the season. Your cows stories are beautiful, and I am so glad that they are going to be in book. I am hoping that Daisy continues to thrive for some time to come. Good for you, Shreve!! Congratulations! Congratulations Shreve! Daisy is so loved, she deserves to have her (et. all) her stories told. There is no one better writer to accomplish that than you! Your ability to pull the reader directly into the story is a gift/talent you not only possess, but wield like a fine tuned instrument. I’m looking forward to devouring every word! So stop stressing and fly! Hugs to all the farmily! Thank you for everything.